A pair of men were caught driving to three different Brick preschools and child care providers early Wednesday morning in what appears to be a robbery attempt, before stealing items from vehicles at one of the schools. 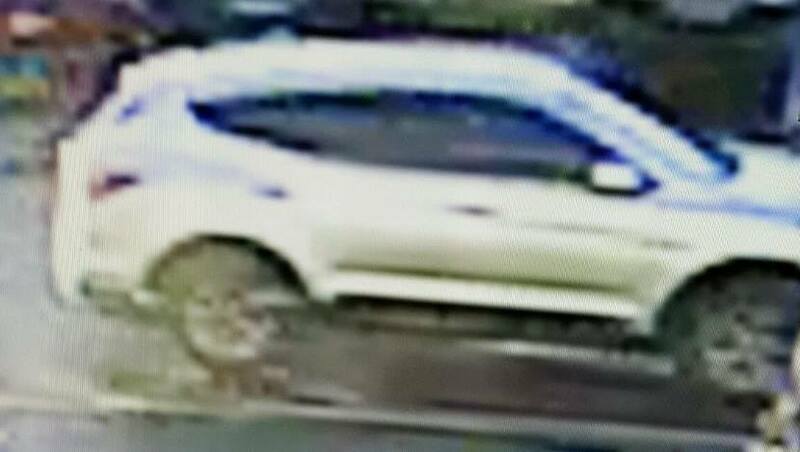 The vehicle pictured with this story – thought to be a late-model Hyundai crossover – was seen on surveillance video at three preschools in Brick Wednesday morning between 7:45 a.m. and 8:10 a.m., according to police. At the first two facilities, which were not named, the vehicle was seen traveling through the parking lots, looking for potential victims, according to police. Witnesses stated that at approximately 8:05 a.m. Wednesday morning, the same silver SUV, occupied by two black men wearing black hats and black jackets, entered the parking lot of the Goddard School on Drum Point Road. The unidentified men shattered the front passenger window of one vehicle and removed a pocketbook containing personal items and cash, police said. The men then entered a second unlocked vehicle and removed another pocketbook containing a debit card and cash.The vehicle did not appear to have a front license plate and possibly the rear windows were tinted, police said.Anyone who has had any similar incidents and-or information in reference to the vehicle is being asked to contact Detective Daniel Waleski at 732-262-1170.